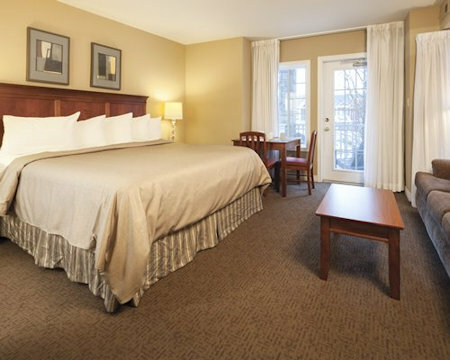 Enjoy 7 Nights in a Studio, 1 or 2 Bedroom Suite at Carriage Hills Resort at Horseshoe Bay in Ontario Canada! 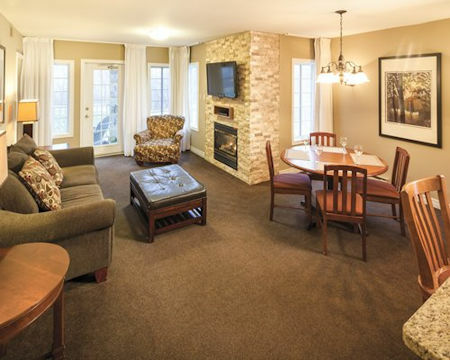 Carriage Hills Resort is an all-season retreat in scenic Horseshoe Valley. 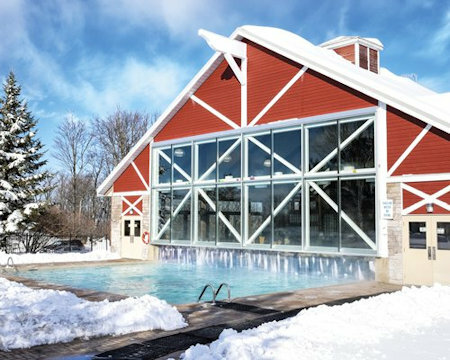 Enjoy the year-round Recreation Centre which includes a large indoor/outdoor pool, fitness facilities, indoor and outdoor hot tubs, volleyball, basketball, shuffleboard and surrounding hiking trails. 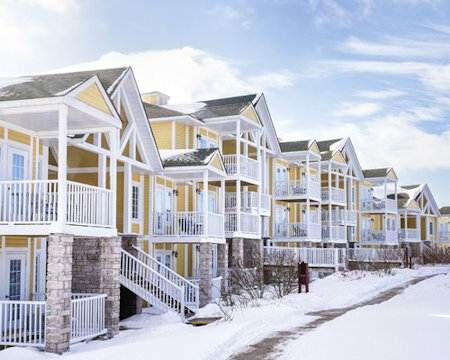 Seasonal amenities include downhill and cross country skiing, snow tubing, snowboarding, snowshoeing, dog sledding and horse drawn wagon/sleigh rides. 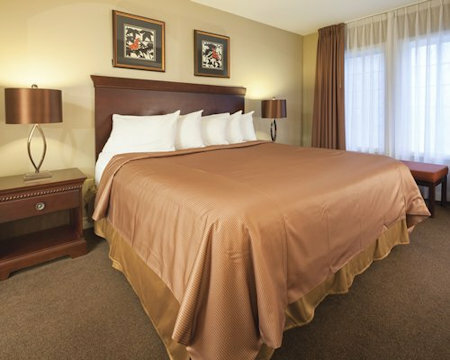 Carriage Ridge also offers daily activities, guided day trips to Niagara Falls and Toronto, complimentary wireless Internet, gas grills, and more. Your 2 BEDROOM SUITE will accommodate up to 6 people, The unit has 2 bathrooms, 2 king bed, and 1 queen sofa and has a full kitchen.